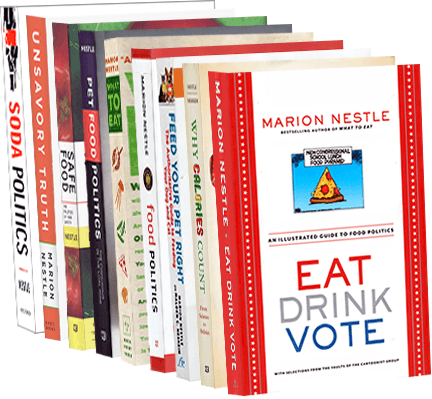 Food Politics by Marion Nestle » The FDA’s New Year’s Gift: Posters! The FDA’s New Year’s Gift: Posters! The FDA has produced electronic posters giving the nutrient content of raw fruits, raw vegetables, and cooked seafood (purchased raw). Why? I’m guessing because real foods don’t come with Nutrition Facts labels and you have to go to the USDA’s nutrient composition data base to find out what the details are. You can download the posters in small, medium, large, and extra-large, or just in text format. If you care about which fruit or vegetable has the most of any one nutrient, here’s an easy way to find out. Have fun with them!